Most Often Replaced Auto Components. Automobiles have become such an important part of our life that they are necessary in many cases. However these machines are not fool proof and will suffer malfunctioning of its components occasionally. Therefore there is a healthy market for auto components. 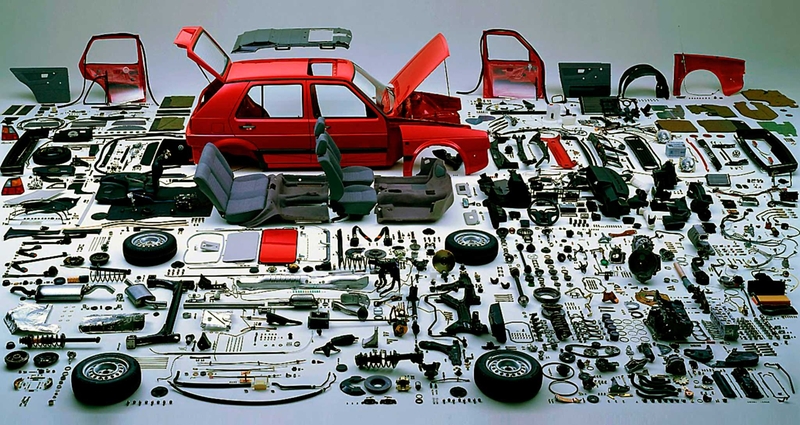 Replacement of auto parts is based on frequency (most often to least often) and average wear a vehicle owner experiences under normal driving conditions. This doesn’t mean that car parts necessarily have to be replaced at the following time / intervals, but it gives an idea what to expect as the vehicle accumulates wear and tear over a period of time. Following are the list of auto components that require replacement. Windshield Wiper Blades – Every year or two (more frequently in hot climates if a vehicle sits outside and is exposed to sunlight and high ambient temperatures). Air filter – Every three or four years, or 30,000 to 50,000 Km. Filter life can be much less if a vehicle is driven on dusty roads. Brake Pads – Every three to five years, or 30,000 to 70,000 Km. Replacement frequency depends on the type of vehicle, the type of driving you do and you’re driving style. Battery – Every four to five years (mileage doesn’t matter). More frequently in really hot climates (maybe only three years). Headlights and/or taillight bulbs – Five to seven years, depends on how much night-time driving you do. Driving on rough, bumpy roads can also shorten the life of conventional bulbs with filaments. Tires – Every five to seven years, depending on number of miles driven annually, the type of driving you do, and the wear rating on the tires (a higher wear rating number means the tire should last longer). Hard cornering and aggressive driving can increase tire wear dramatically. So can wheel misalignment. Spark Plugs – Platinum and iridium plugs should normally last 100,000 Km, or about 8 years if you drive 12,000 miles/year. Spark plugs may have to be replaced sooner if short trip driving causes them to foul, or your engine is burning oil due to worn rings or valve guide seals. Belts – The serpentine belt should last 75,000 Km or about six years, and the timing belt (if your engine has one) should last 100,000 miles or about 8 years. Brake Calipers, Wheel Cylinders and Master Cylinder – Typically last 100,000 Km or more, but eventually succumb to internal corrosion and deterioration of the rubber seals. Need to be replaced if leaking or sticky. Often replaced at second brake job (necessary at first brake job). Alternator – May last the life of your vehicle, or it may fail after 5 or 6 years of driving. The alternator keeps the battery charged, and supplies voltage for your vehicle’s electrical system. High demand applications typically shorten alternator life. Alternators are a frequently replaced item, and also a frequently misdiagnosed car part. Charging problems can often result from poor electrical connections (battery cables or alternator wiring harness). An alternator should always be tested BEFORE it is replaced to determine if it is good or bad. Fuel Pump – May last the life of your vehicle, or it may fail after 5 or 6 years of driving. The fuel pump runs constantly, and can be damage by rust or dirt inside the fuel tank. Running the fuel tank dry or driving with a very low fuel level inside the tank may starve the pump for lubrication, causing it to fail. Water pump – May last the life of your vehicle, or it may fail after 6 to 8 years of driving. The shaft seal inside the water pump wears, and eventually starts to leak. The loss of coolant will cause your engine to overheat. Muffler – Most recent models original equipment mufflers are stainless steel, and will typically last 10 years or 100,000 miles (or more) depending on environmental exposure to road salt and moisture. Suspension System– The shocks and struts on many vehicles are NEVER replaced during the life of the vehicle. But after 50,000 to 75,000 Km of driving, many shocks and struts may get noticeably soft. Replacing these parts is often recommended to restore like-new ride and handling. Shocks and struts may also be replaced at any time to upgrade performance handling. Clutch – Varies greatly with how the vehicle is driven, but normally should last up to 100,000 Km with normal driving. Towing, aggressive driving and poor driving habits (such as “riding the clutch”) can drastically shorten the life of this component. Automatic Transmission – Should last the life of your vehicle, but may fail at any point from 70,000 Km on. Towing, aggressive driving or anything that causes the transmission to run hotter than normal can shorten its life and lead to failure. Very informative article indeed! May I also add that here in Canada, we have extremes in climate, going to +35 C or more in summer, and plummeting to -30 C in winters! This results in batteries frequently failing after 3 years (most places here don’t even give you a partial warranty beyond 3 years), and its worse if you park outside frequently. Also, many folks out here switch tires for the winter, and winter tires wear out really fast if they’re used in the hot summers, since they have extra soft rubber. Thanks again for this info. -Kate H. from Partsavatar Aftermarket Auto Parts.